DP cable (Display Port), a high-definition digital audio/video cable is the next generation digital display interface standard design to replace DVI, LVDS, and eventually VGA. It delivers higher performance, enables exciting new monitor designs, improves digital display connectivity, and provides a roadmap for future display usages. 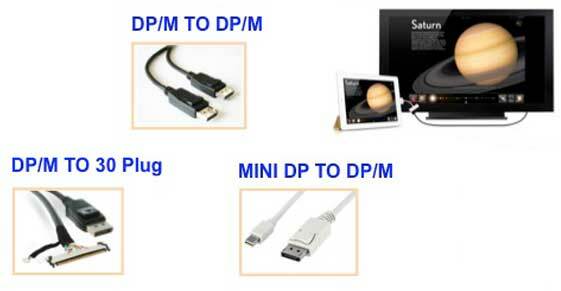 DP is considered the HDMI equivalent for computers, providing both high definition digital audio and video via one cable, it is the best solution for computing displays, DVD player, projector, and LCD TV/PDP TV.